Parents are often shocked when I tell them that pediatricians think it's a bad idea for children to watch TV or use mobile apps before age 18 months, because most toddlers already have. Surveys tell us that 92.2% of 1-year-olds have already used a mobile device, some starting as young as age 4 months. I hear a lot of parents say, "But my baby likes it!" Infants may stare at the bright colors and motion on a screen, but their brains are incapable of making sense or meaning out of all those bizarre pictures. It takes around 18 months for a baby's brain to develop to the point where the symbols on a screen come to represent their equivalents in the real world. What infants and toddlers need most to learn is interaction with the people around them. That doesn't mean that they shouldn't video-chat with a distant grandparent or a deployed parent, but when it comes to day-to-day learning they need to touch things, shake them, throw them, and most of all to see the faces and hear the voices of those they love the most. Apps can teach toddlers to tap and swipe at a screen, but studies tell us that these skills don't translate into real-world learning. 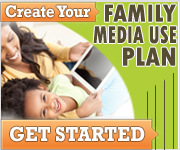 See Healthy Digital Media Use Habits for Babies, Toddlers & Preschoolers. So sure, babies and toddlers don't get anything out of watching TV, but if they seem to like it, where's the harm? If a little TV is what it takes for you to get dinner on the table, isn't it better for them than, say, starving? Yes, watching TV is better than starving, but it's worse than not watching TV. Good evidence suggests that screen viewing before age 18 months has lasting negative effects on children's language development, reading skills, and short term memory. It also contributes to problems with sleep and attention. If "you are what you eat," then the brain is what it experiences, and video entertainment is like mental junk food for babies and toddlers. The problem lies not only with what toddlers are doing while they're watching TV; it's what they aren't doing. Specifically, children are programmed to learn from interacting with other people. The dance of facial expressions, tone of voice, and body language between a toddler and parent is not only beautiful, it's so complex that researchers have to record these interactions on video and slow them down just to see everything that's going on. Whenever one party in this dance, child or parent, is watching TV, the exchange comes to a halt. A toddler learns a lot more from banging pans on the floor while you cook dinner than he does from watching a screen for the same amount of time, because every now and then the two of you look at each other. Just having the TV on in the background, even if "no one is watching it," is enough to delay language development. Normally a parent speaks about 940 words per hour when a toddler is around. With the television on, that number falls by 770! Fewer words means less learning. Toddlers are also learning to pay attention for prolonged periods, and toddlers who watch more TV are more likely to have problems paying attention at age 7. Video programming is constantly changing, constantly interesting, and almost never forces a child to deal with anything more tedious than an infomercial. After age 2 things change, at least somewhat. During the preschool years some children do learn some skills from educational TV. Well-designed shows can teach kids literacy, math, science, problem-solving, and prosocial behavior. Children get more out of interactive programs like Dora the Explorer and Sesame Street when they answer the characters' questions. Educational TV makes the biggest difference for children whose homes are the least intellectually stimulating. Naturally, children learn more when they watch TV or use apps with a parent. Content matters, a lot. All programs educate kids about something, but stick with ones that are designed to teach children stuff they should actually know like language and math. Regardless of content, cap your child's electronic entertainment time at 1 hour a day from age 18 months to age five. Remember, too, TV is still TV whether you actually watch it on a TV screen or on a mobile phone or computer. Pediatrician David Hill, MD, FAAP, is Vice President of Cape Fear Pediatrics in Wilmington, NC, and Adjunct Assistant Professor of Pediatrics at UNC Medical School. He serves on the executive committees of the North Carolina Pediatric Society and the American Academy of Pediatrics Council on Communications and the Media. 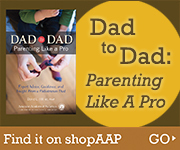 Dr. Hill won the Independent Book Publishers Association Benjamin Franklin Award in 2013 for Dad To Dad: Parenting Like A Pro. He serves as a consultant on child care issues for local and national radio, television, and internet-based media. He lives in Wilmington, North Carolina with his wife, three children, and two step children.